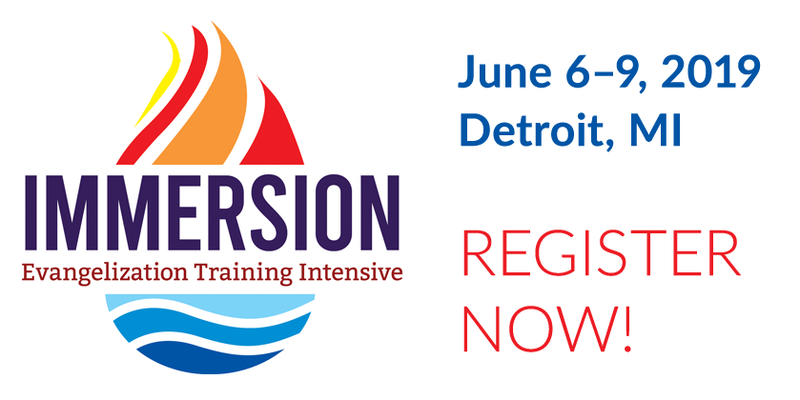 Immersion 2019 is a summer evangelization intensive where evangelists from all over the country gather for prayer, worship, and street evangelization. Our summer intensive is unlike anything you’ve experienced in the Catholic Church before. This is not a normal conference; it is a dynamic and hands on experience (10+ hours of street evangelization). It was designed from the ground up to help train, equip, and mobilize Catholics as disciple-makers who proclaim Jesus Christ in the world. Immersion 2019 includes prayer, a variety of direct evangelization experiences, dynamic talks, specialized breakouts, worship, and fellowship. We will gather together as a community for Mass each day to be spiritually equipped for the encounters the Lord has for each of us. We will have a chance to learn from the other active evangelists as we share best practices and the stories of our daily encounters. Everyone will have the opportunity to receive ministry and to minister to others. This track is for any Catholics who wants to become an effective fruitful evangelist. All Catholics are welcome to register for the evangelist track. It includes the main conference, worship sessions, prayer ministry, evangelization outings and evangelist breakout sessions which focus on non-confrontational evangelization skills. Participants are placed together on street teams with experienced evangelist lead by one of our team leaders or regional missionaries. Everyone will have the opportunity for direct evangelization in different circumstances throughout the conference. 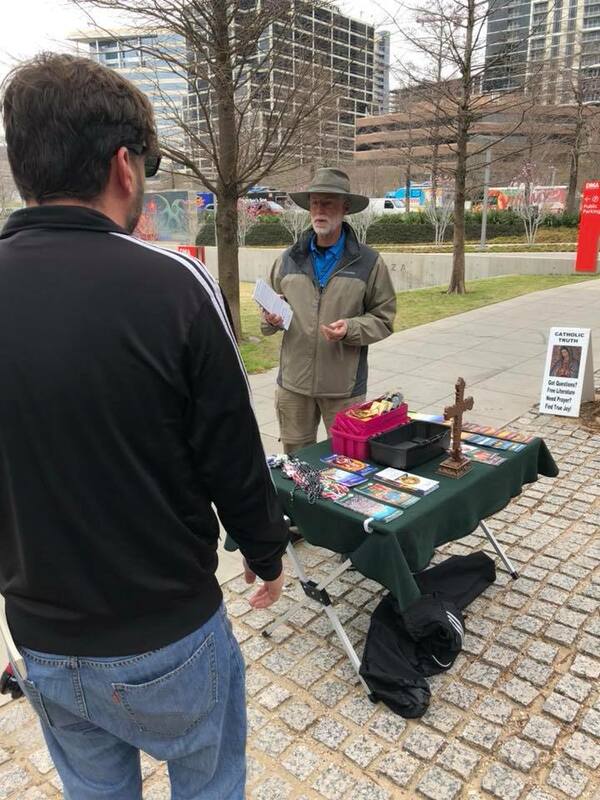 Participants are expected to understand the St. Paul Street Evangelization method of non-confrontational evangelization by completing our Basic Evangelization Training (BET) course prior to the conference. Course material is available online to our partners and can be provided to non-partners after registration. This track is led by Mark Hornbacher (VP, Programs & Operations). This track is for all current SPSE team leaders along with those who are considering starting an SPSE team. It includes the main conference, worship sessions, prayer ministry, evangelization outings and the team leader breakout sessions which focus on how to launch, build, and run a successful evangelization team. Everyone will have the opportunity for direct evangelization in different circumstances throughout the conference. Team leaders will also have the opportunity to lead a street team during the event. This track is led by Brian Lee (National Director, St. Paul Street Evangelization) and Beth Schuele (Associate Director, St. Paul Street Evangelization). Cost: $129 (a discount code was sent to all verified St. Paul Street Evangelization Team Leaders if you did not receive your discount code, please contact Brian Lee at brian@stpaulse.com). This track is for team leaders, team members, or other Catholics who want to learn how to become a leader in the New Evangelization. Regional Missionaries are active volunteers who represent the St. Paul Evangelization Institute. Regional Missionaries serve in different ways including as public speakers, liaisons between teams and local dioceses, they help plant and launch evangelization teams, they assist local teams, work on projects with the national office, and much more. Those who complete the application process and are accepted into the program attend all main sessions of the conference, join the regional missionary break out sessions, lead a street ministry team during the conference, and work closely with our current regional missionaries. This track is led by Adam Janke (Chief Operating Officer) and Dr. Deb McManimon (Local Director of Teams, Midwest Region). Cost: $39 for accepted applicants. Limited to 25 particpants. Daily schedule Thursday – Saturday is 8:00 AM – 9:30 PM with breaks throughout the day. Schedule for Sunday is 8:00 AM – 12:00 PM. We understand that some people may be traveling today. All sessions are optional. 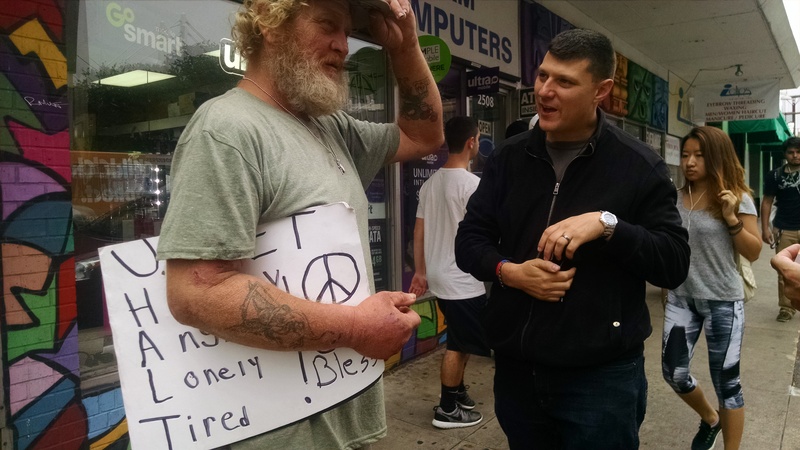 Street Evangelization with Steve Dawson, Founder of St. Paul Street Evangelization! 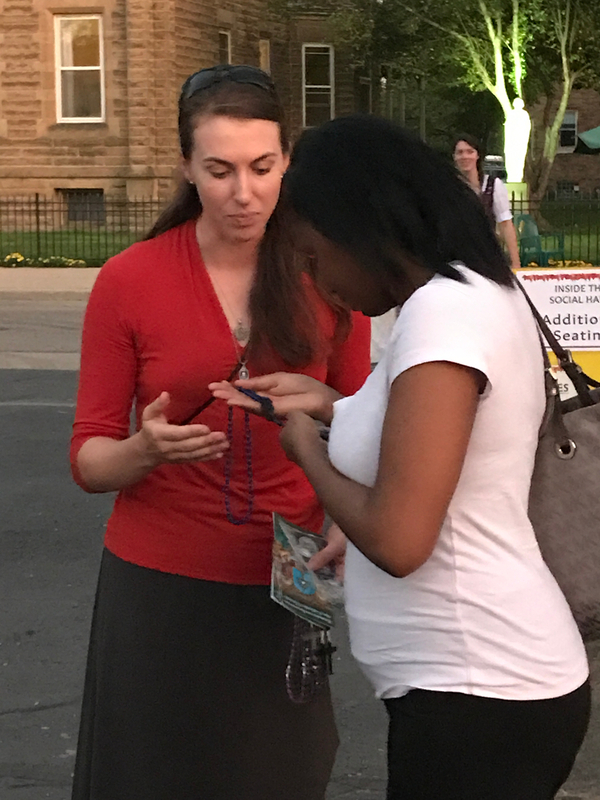 A day of dynamic presentations on evangelization followed by an evening of prayer and ministry to prepare us for street evangelization. 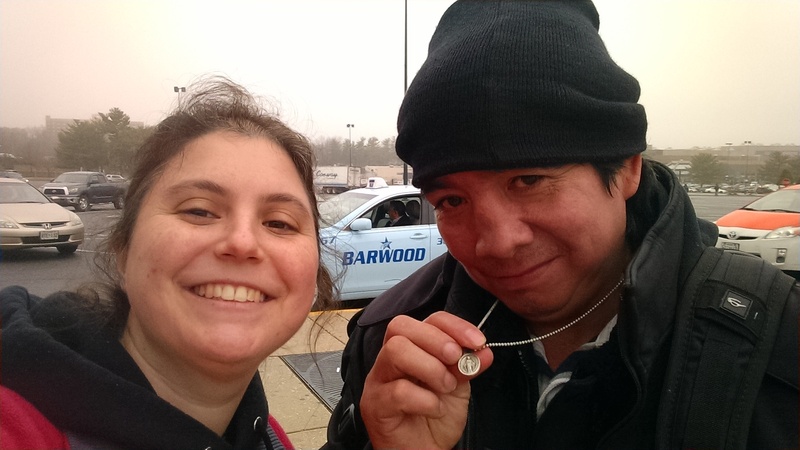 · “Light the Fire” – Evangelization experience at a local parish. Invite those on the street to come into the church for adoration, prayer, confession, prayer ministry! Registration is Open and Limited! Whether you are just starting out or you are an experienced priest, layperson, or religious we hope you will join us. You will learn how to effectively and fruitfully share your faith in the Lord Jesus through practical hands-on work at our institute. Our goal is to prepare you to go back to your own community with the tools you need to effectively evangelize and disciple those that God calls us to reach. Are there any prerequisites for the Immersion? Yes. Due to the nature of this summer intensive all participants are expected to understand the St. Paul Street Evangelization method of non-confrontational evangelization by completing our Basic Evangelization Training (BET) course prior to the conference. If you have not taken the one-day BET workshop you can access our course material online. SPEI partners can watch the videos or take the online course. If you are not an SPEI partner, we will send you a PDF copy of the Basic Evangelization Training manual after registration. You are welcome to bring infants with you; however, given the intensity of the week and the schedule you may want to consider arranging child care for them. We are unable to provide child care. Can we share the cost of hotel rooms by having a roommate? Yes! If you are coming alone and you would like to share housing with another attendee, we can facilitate the information exchange. The rooms at the DoubleTree Hilton are spacious enough to share with up to four (4) people. You can specify your desire to have a king bed or 2 Queen beds depending on availability. Send your name, gender, and contact information isabella@stpaulse.com to place yourself on the list. We will reply with the list of others who are interested in sharing the cost of housing. Is there a discount available to verified Team Leaders? Yes, a discount code was sent to all verified St. Paul Street Evangelization Team Leaders. If you did not receive your discount code, please contact Brian Lee at brian@stpaulse.com. The cost includes the entire conference, all materials, transportation to and Eastern Market, and breakfast each morning. You are responsible for your transportation to the conference, most meals, and housing. We have booked a block of rooms at the DoubleTree at a reduced rate, but you are welcome to make your own arrangements.